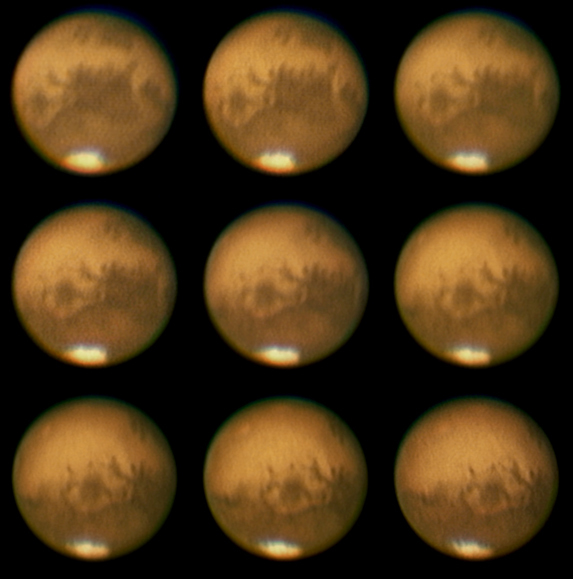 Here we see Mars just two days before its maximum opposition. This animated GIF shows approximately 4 hours of the planets rotation. There are nine frames in this sequence each taken 30 minutes apart. Click on the image to see a collage of the individual frames.